Home > Marketing > How do I send an email to all customers in a member group? Q.How do I send an email to all customers in a member group? Navigate in your Shop Manager to Marketing → Member group newsletters. Click (New issue), and in the Member group field select your desired member group. 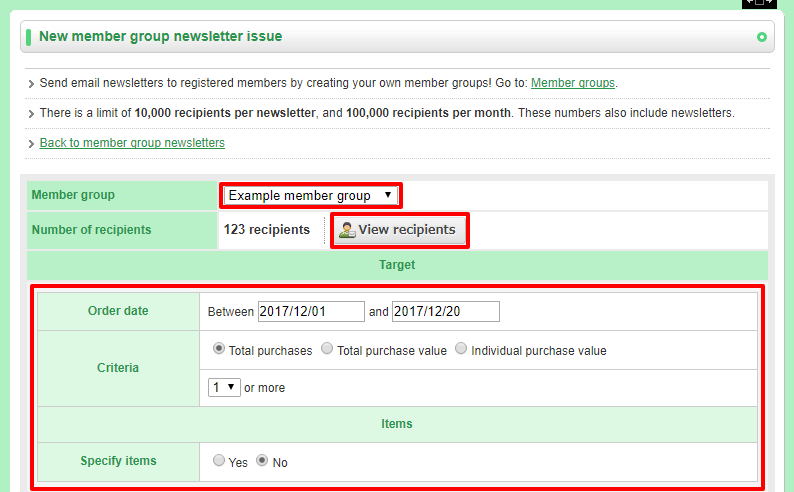 Click on the (View recipients) button in the Number of recipients field to verify which members will receive your email. You can also narrow down recipients by order date, purchase value, and items ordered. Enter your email subject and body text in the relevant boxes. 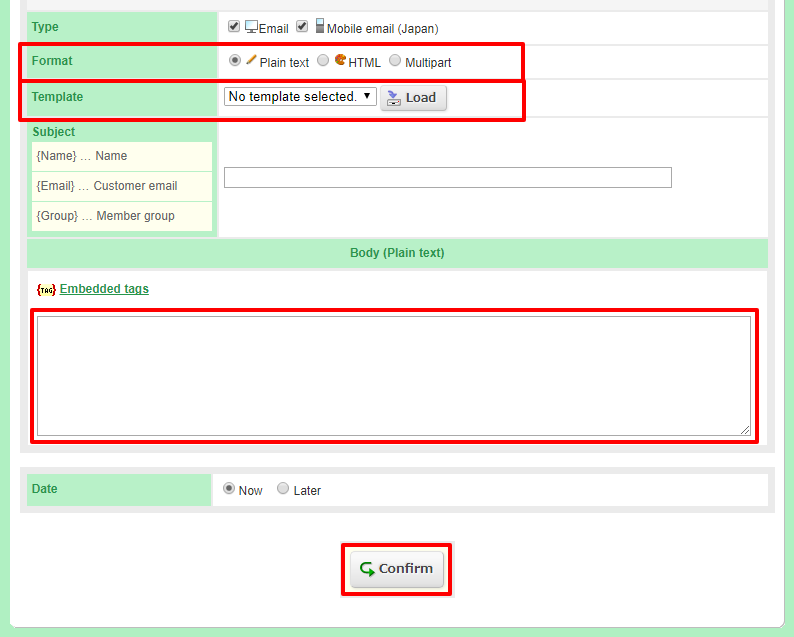 You can send email as plain text, HTML, or multipart, depending on which setting you select. You can also use email templates created at Marketing → Email templates. Once you're done, click (Confirm). On the next page, confirm the contents and recipients of your email, and then click (Send).